Many members of the Nottingham Hackspace will be attending Electromagnetic Field the weekend of 31 August to 2 September in Pineham Park, Milton Keynes. This three-day festival is for anyone with an inquisitive mind or an interest in making things – everyone including hackers, geeks, scientists, engineers, artists, crafters and more. 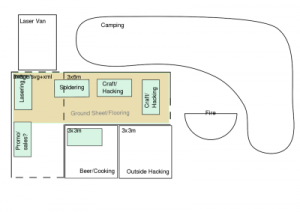 Nottingham Hackspace will have a village at EMF Camp, giving you a chance to see what a hackspace can do while you camp. 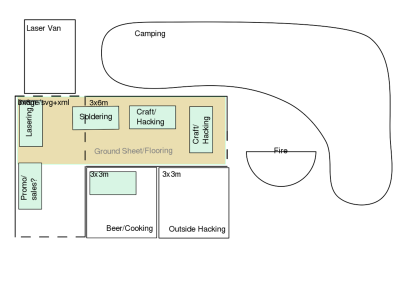 The space will be bringing equipment and supplies, giving you a chance to make things and try out experiments at the camp. We’ll have kits for sale, soldering, laser cutting, knitting, drawing, and so much more! Tickets are still available, both for the full weekend and for single days. Don’t miss your chance to join us at this unique and exciting event!